When the custody of a child is in dispute, the courts make determinations as to what custody arrangement is in the best interests of the child. The courts look to several factors as outlined by statute and/or case law. Click to see the best interest factors in VA, MD, and DC. Not surprisingly, parents diverge in what they believe is in the child’s best interests. 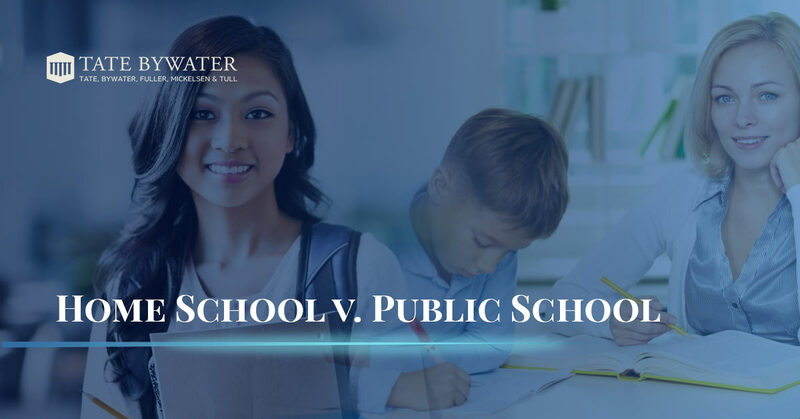 Recently I was involved in a custody dispute in which the custodial parent was home schooling the elementary school-aged children and the non-custodial parent objected. We called as an expert witness Dr. Brian D. Ray, a nationally renowned educational expert. Dr. Ray has extensive experience in both public and home-based education and has been involved in research and writing on the subject. QUESTION (Q): Dr. Ray, I understand you prefer the term “home-based education”. THE COURT: He’ll be qualified as an expert in the field of home-based education. Q: Why do you prefer that term? A: The reason I think that’s a good term is it more accurately describes what most people who are involved in the modern home school community, and that’s an education based at home, but it’s not only home, and it helps deal with certain stereotypes. You know, its centuries old, and it suggests that it’s led by the parents. Especially when the children are really young, it’s mostly at home, but, as they get older, they’re doing more and more things outside the home with maybe classes, cooperatives, Scouts, you know, it’s based in the home. It’s not only at home. Q: Can you give us just some sense of the growth of home-based education over the last while, last 20 years or something? A: Yes. So to put that in context, we’d have to say that for centuries it was the norm, and then in places like the United States, it became almost extinct by the 1970s, and then from the 1970s when there were maybe twelve or fifteen thousand home-schooled students in America, it’s now grown to probably around 2.2 million K-12 students, so it’s been phenomenal. It’s hard to describe. It’s just grown tremendously. Q: Now, have there been studies, and have you been involved in studies about how students do academically in home-based education compared to institution-based education? A: There have been many studies. Dozens of researchers have done them. I’ve done several studies, more than anybody on academic achievement of home­ schooled children, so I’ve published in journals and books all over the place. Q: Can you just give us a general conclusion? A: When we’re looking academically, home- educated children score above other school average by 15 to 30 percentile points on average. That doesn’t mean that all are above average and beautiful, but on average they do a lot better. Q: What about college admissions and college performance; is that a problem with home-schooled children? A: In most cases not, because colleges and universities are just looking for somebody who is ready academically, socially. Many colleges and universities have actually developed their own policies that specifically mention home schooling and so it’s not really an issue. If the child or the young person takes an SAT or ACT test and does well enough for that particular college, has tuition to pay, the college wants him. 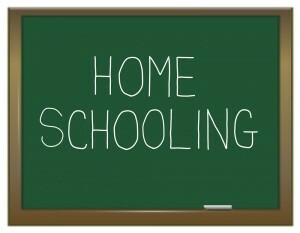 Q: Now, it’s my understanding that one of the possible complaints about home schooling is socialization of the children . . . But go ahead and just answer it generally about the socialization. A: Yes, it’s often a question that people have of during the modern era, the last 20 years, because most people went to institutional schools. But the research, and I’ll talk about my experience, the research is that many studies have been done on this social, psychological and emotional development to home schooled children, and the research finds that on average, a little bit of a broken record, that they do as well and often better than others when it comes to self-esteem, family cohesion, resilience, leadership skills, interacting with other children. That’s just what research finds. And my experience is the same thing. Basically they do as well and often better socially and emotionally on average. The conclusion in our case was that the children were doing outstanding academic work and that home-based education was a benefit for them. While all home school situations may not be best for children, it was interesting to see the general trends nationwide. Attorneys at TATE BYWATER handle all issues related to child custody, visitation, and divorce. Contact us to schedule a consultation if you wish to discuss your case.